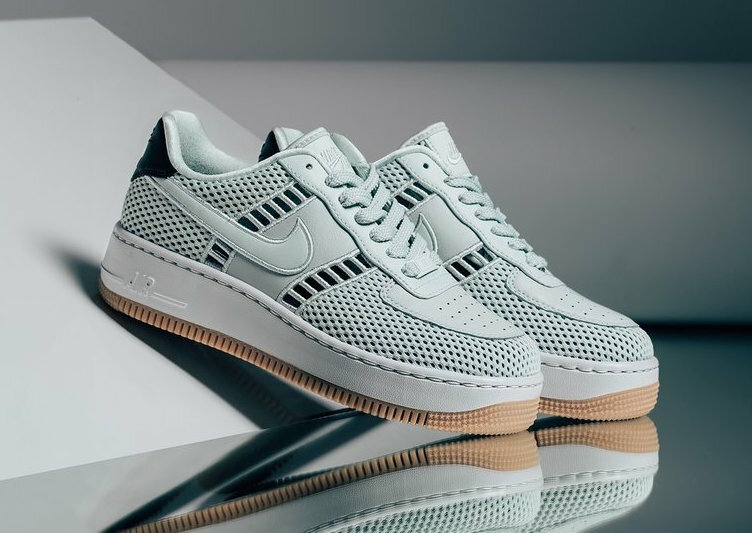 Nike’s new knitted Air Force 1 Upstep silhouette arrives with air holes to keep your feet fresher than a mofo this summer. It’s upper comes complete with an embroidered knit on the forefoot and heel, with open-air cutouts in the vamp for breathability. It comes together on an exaggerated white midsole paired with a glorious gum outsole. The Nike Air Force 1 Upstep ‘Barely Grey’ is available right now in ladies sizing at select retailers like Feature.